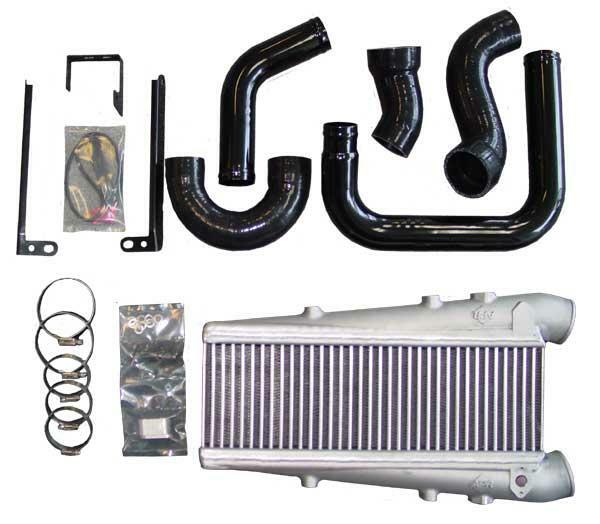 APR Tuned Intercooler Kit - Dezod Motorsports Inc - Home of the automotive performance enthusiast since 2002. APR is please to present our front mounted intercooler for the TT. The construction and advanced design techniques used in the APR intercooler sets ours apart from all the others on the market. Utilizing such technologies as a top-bottom feed core, custom mandrel bent plumbing, and innovative cast endtanks with internal vaning, our intercooler has produced excellent results in testing. The 180TT features a “C”-style intercooler, and the 225TT has a “Z”-style intercooler. The conditions of one test that was performed is as follows: at 20 psi of pressure with a vehicle speed of 70 mph, and an elevation of approximately 500 feet above sea level. Under these conditions the internal flow was measured at 720cfm. Also at those conditions, with an input temp of 240º F, the intercooler was quite effective; cooling the output air to 126º F. While doing this, the intercooler measured a pressure drop of only .58 psi. Equally as impressive with the APR intercooler was the external pressure drop (the amount of air pressure behind the intercooler) of only 1.01 psi. This helps to allow airflow to other critical parts of the car such as the radiator and A/C condenser. While the internal pressure drop is important, the external pressure drop is often overlooked. 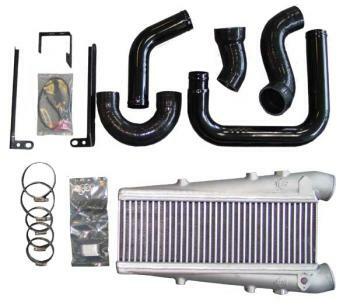 Most other intercoolers commonly cause 1.5 to 2.0 pounds of pressure drop, hindering the radiator from effectively doing its job of cooling the engine. APR has designed the best intercooler upgrade for your 2.0T FSI engine as found in the Audi A3 and TT. Charge air cooling is essential to maintaining powerful and safe operation of a turbocharged engine and as performance is increased, so must the efficiency of the intercooler. The APR FSI Intercooler is a perfect OEM intercooler replacement with an intercooler core size almost three times the size of the original unit.